Size : 25.7 x 27.6 mm. Weight : 11.80 grams. Grade : gXF with just a trace of porosity. 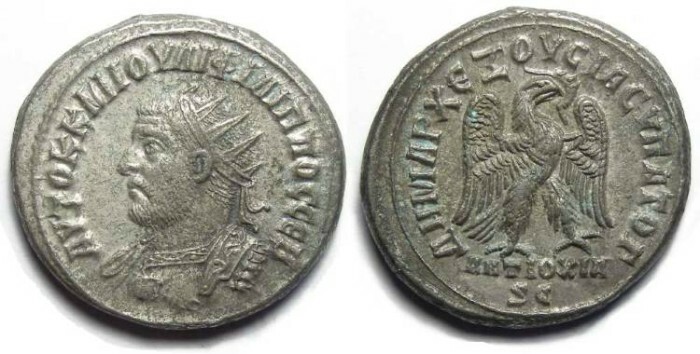 Obverse : Radiate head of Philip I left, cuirasssed with aegis, with AUTOK K M IOULI FILIPPOC CEB around. Reverse : Eagle standing right with wings spread and wreath in his beak, with DHMARC EXOUCIAC UPATOG around, with ANTIOCIA and SC below.